Author Of The Week: Chat with Rebecca Schaeffer (Not Even Bones), Plus Giveaway!! 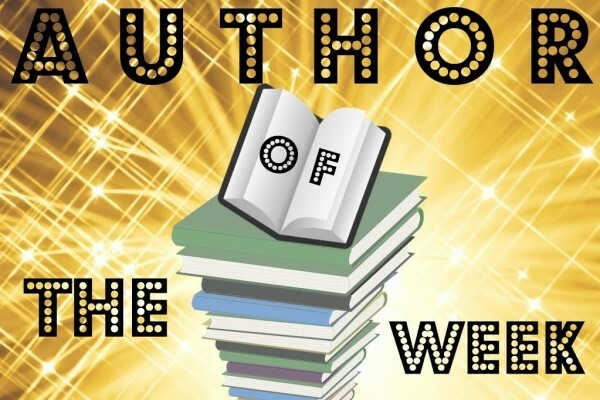 Introducing Rebecca Schaeffer , YABC's Author of the Week!! Rebecca Schaeffer was born and raised in the Canadian prairies. Her itchy feet took her far from home when she turned eighteen, and she hasn’t returned for more than a few months here or there since. She’s allergic to stasis, loves travelling, and likes to pick up new languages. You can find her sitting in a cafe on the other side of the world, writing about villains, antiheroes and morally ambiguous characters. Her debut novel, Not Even Bones, about a girl who dissects and sells monsters on the internet, comes out Fall 2018 from HMH. Dexter meets This Savage Song in this dark fantasy about a girl who dissects monsters and sells their body parts on the black market — until she’s betrayed. But when she tries to save her mother’s victim, she ends up sold on the black market in his place — because Nita herself isn’t exactly “human.” Now Nita is on the other side of the bars, and there is no line she won’t cross to escape and make sure no one can ever sell her again. I really wanted to write a novel with main characters who, in any other character’s story, would have been the villain. It was something I’d wanted to do for years, but I wasn’t really sure if an all villain cast was sellable, and I didn’t have quite the right idea for it. Then one day, I was talking to a friend about a different story I was writing, set in the same world as Not Even Bones, and she said to me, “this whole online black market for monster body parts is really cool, but where do the body parts come from?” And I realized that the people hunting down, murdering, and selling monsters would be the perfect opportunity to do the all villain cast I’d always wanted. Oooooh. This one is hard. It honestly depends on what day it is. I really love writing from Nita’s point of view, because I love the way she sees the world. But I also adore Kovit and his unabashed, unapologetic evil because he’s just so much FUN. The novel! I actually really struggle with titles, and often have to get other people to name books for me. My working titles tend to be very much statements of what the book is rather than something that will attract and engage you, so they always need to be changed. It’s very rare I come up with a good title for a story. There’s two scenes I’m really proud of that occur 1/3 of the way and a 2/3 of the way through. They’re sort of mirrors of each other, where the two main characters have swapped positions of power. Both scenes were very delicate to write due to the power dynamics, the darkness of the content of the discussion, and the context. But I’m really proud of how they came out! So many! For 2018, I’m really looking forward to One Giant Leap by Heather Kaczynski, the Sequel to Dare Mighty Things which I read last year and loved! In 2019, I’m looking forward to Ink in the Blood by Kim Smejkal and Tarnished are the Stars by Rosiee Thor. Oooooh, this is such a cruel question! There’s so many books I loved this year! I really liked Bull, by David Elliot. It’s a villain origin story told in verse, and it’s very clever and well done. I really loved it! Whichever one I’m not doing at the moment! I’m very much a ‘the grass is always greener’ person, so I always romanticize drafting when I’m revising, and romanticize revising when I’m drafting. I’m working on the sequel to Not Even Bones, which comes out next year! The cover shows and the synopsis tells that this novel is the kind I really enjoy! This book sounds sooo cool! I know I’m going to read it wether or not I win. "What do you think about the cover and the synopsis?" The cover is a bit too scalpel-ish! Sounds like an intriguing monster-body-parts story! Love the cover! The synopsis sounds amazing! The cover looks ominous and the synopsis sounds right up my alley! I LOVE The cover and it sounds like a great book! The cover is awesome and will catch the eye of YA readers! The story sounds a bit creepy which will be attractive to readers of this genre. Wowzer!! !This book has a ton of things going for it. 1. The cover is deceptively simple, and oh-so appealing. 2. The synopsis gives away just enough information to guarantee readers will want to buy this book. 3. The author is a fellow Canadian and I think Canadian authors are amazing. Spotlight: The Skylighter by Becky Wallace, Plus Giveaway!